Do we need two wedding photographers? One of my favourite times at a wedding is when the bride makes her grand entrance into the ceremony room or church, whatever it may be. 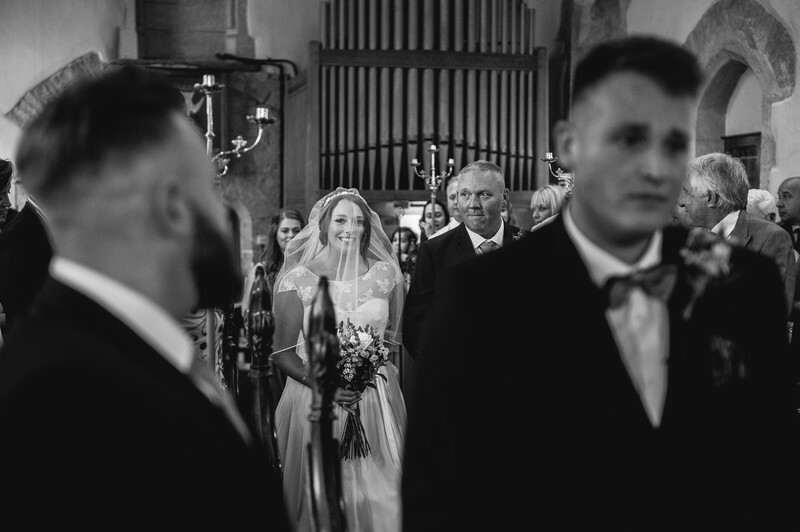 Where possible, I position myself at the front of the church, in such a way that I can not only capture the groom's facial expressions, but also see the bride entering over his shoulder. Without changing my composition I can focus on the bride and make her the subject of the image, or I can focus on the groom and allow the bride to become a background detail. The reason I love this style of photo so much (as you can see below) is you never know how the groom will react. Weddings are so emotionally charged events, that quite often, the families of those involved are surprised by the reaction of the groom. Liam, in the top photo, is trying to hide his smile. Andy, in the bottom photo (right of frame) looks quite incredibly nervous, whilst Kirk in the middle image looks, well, I'll let you decide! 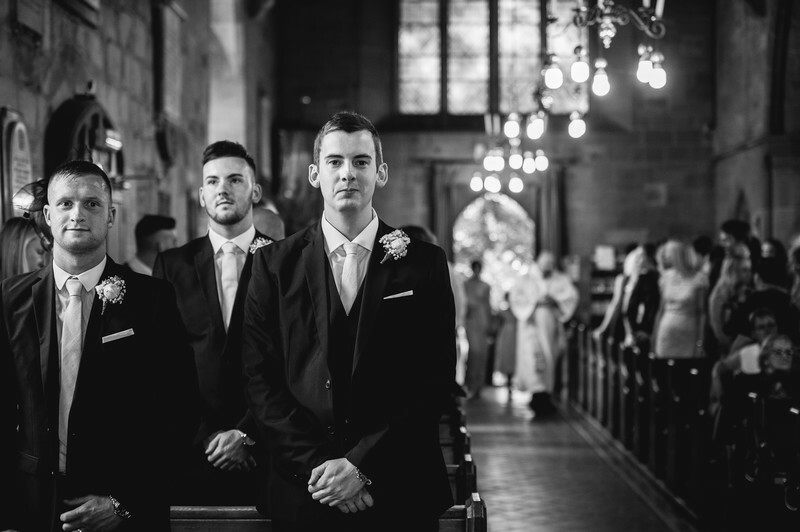 You'll notice in all three of these images that the groom is facing forwards. Not in any photo has the groom already turned to see his bride walking down the aisle. If he did, it would be impossible for a single photographer to capture his reaction (in these circumstances I focus on the bride) but with two photographers, you have the opportunity to see both person's reaction to the other, when seeing their partner for the first time on their wedding day. In the photos below, you'll see the first image of Ashley on his wedding day, waiting patiently at the end of the aisle surrounded by his three bothers. His older brother and best man is smiling and giving Ashley a reassuring squeeze on the shoulder. 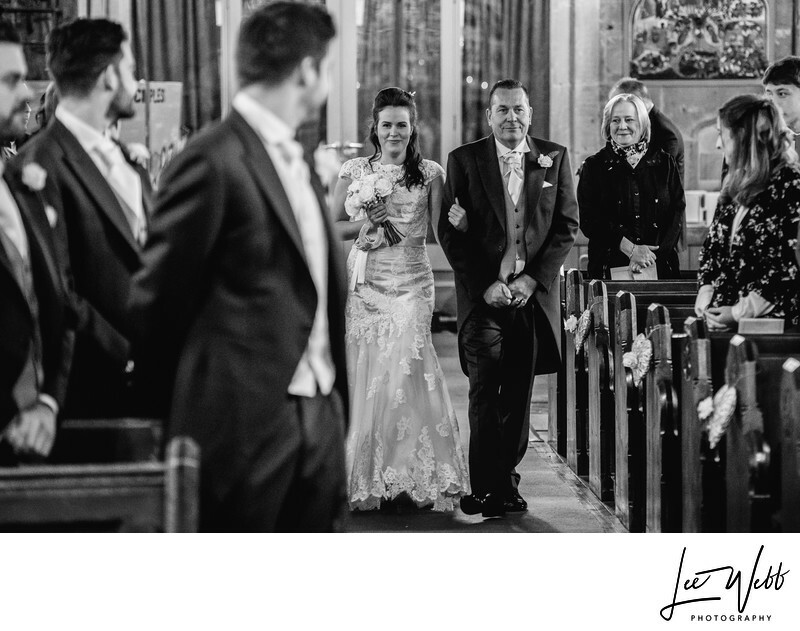 At exactly the same moment, I was outside, photographing his fiancee and her father making their way up the church path. In the examples below, you'll see the exact moment their eyes meet for the first time. It's such a magical moment, and one that absolutely wouldn't be possible without my associate photographer being there. Of course the benefits of having two photographers shooting essentially the same moment doesn't end with the wedding ceremony. 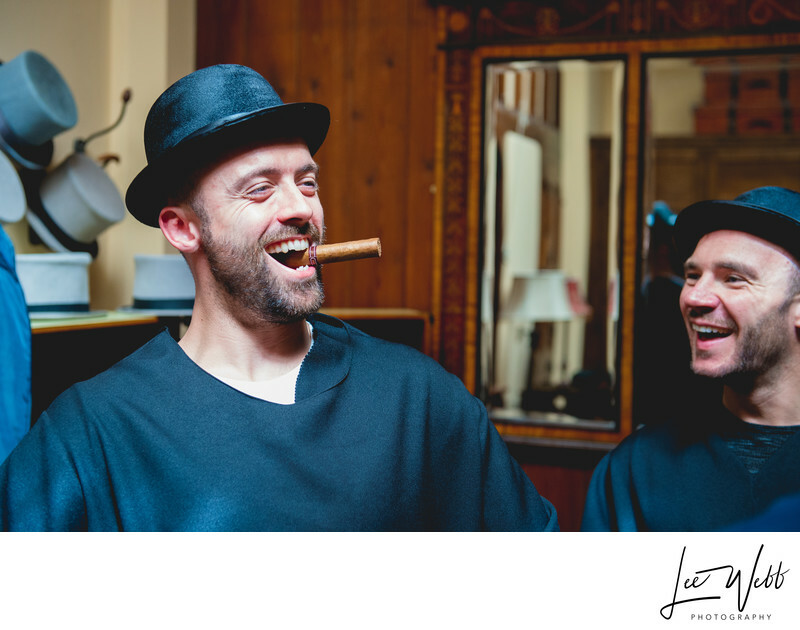 Throughout the wedding day, there are always instances where you can capture action/reaction. This is particularly useful when the bride and groom are getting ready at separate locations. 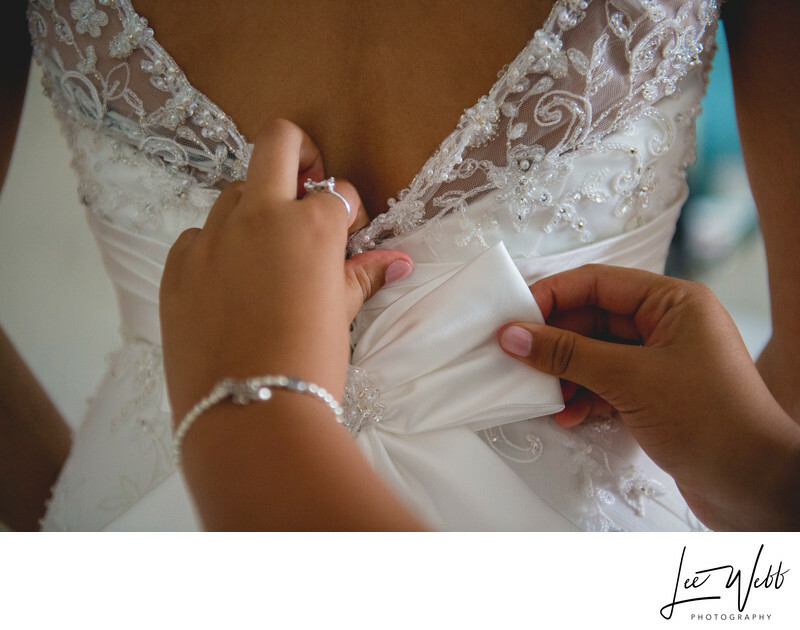 With careful planning, I am able to photograph both the bride and groom getting ready if they're at the same venue in the morning, or a 10 minute drive away - but quite often, brides and grooms get ready at two totally different venues, maybe both 30 minutes from the wedding venue but an hour apart. In these circumstances, the only way to have photos of both the bride and groom getting ready is to have two wedding photographers. I usually spent the morning with the bridal party, whilst I send my associate photographer to the boys. 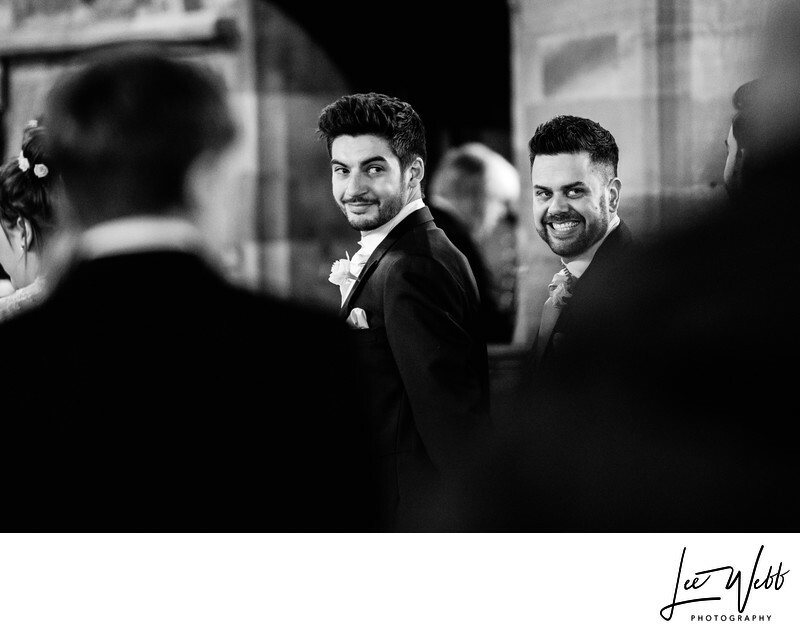 The most amazing thing is, we synchronise our cameras beforehand, meaning when you look back through the images, they appear in perfect chronological order - you can see what each other were doing at exactly the same time! 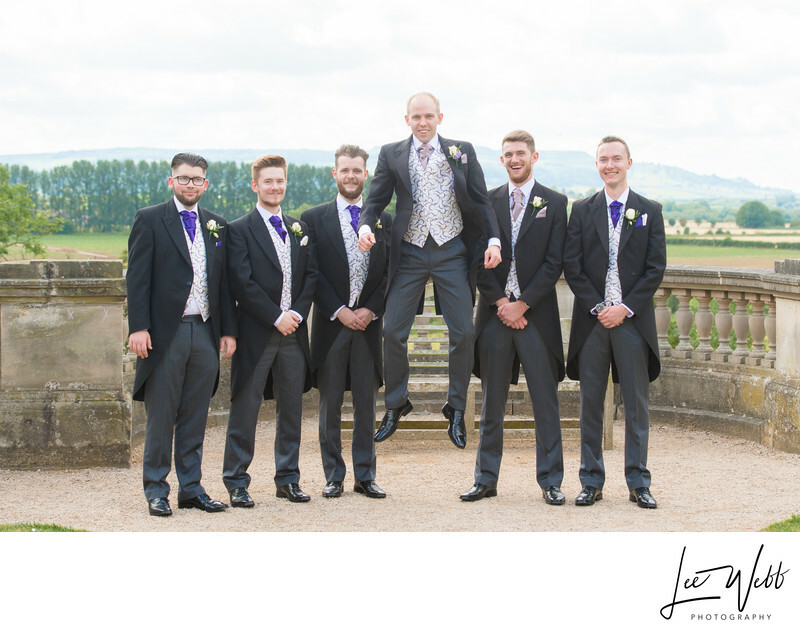 The following 4 images are all from Patricia and Chris's Stanbrook Abbey wedding. Whilst the couple got ready at the same location, owing to the venue's size, they chose to book my associate photographer to cover Chris getting ready too. In the first two images, you can see a very special moment from their big day - both Patricia and Chris had both bought gifts for each other, and they chose to open these, coincidentally, at the same time. 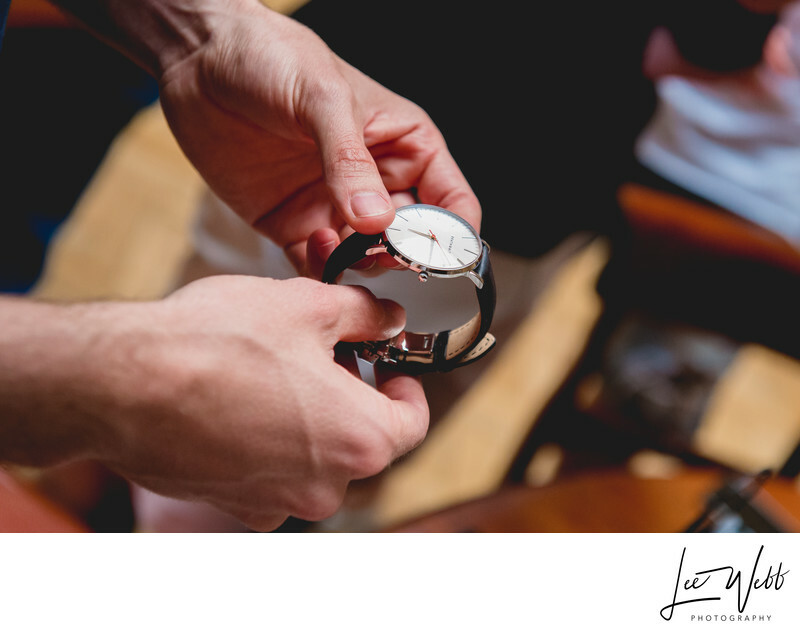 Chris bought Patricia the shoes she'd always wanted, and Patricia gave her soon-to-be husband a beautiful watch. An hour or so later, we can see both Patricia and Chris getting dressed - with my associate shooting Chris, and me shooting the bride. 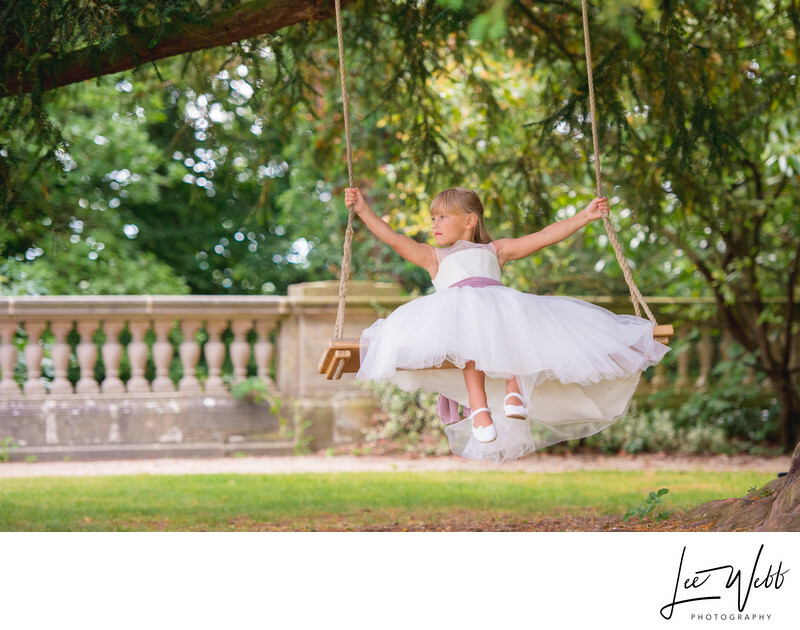 If you've read the FAQ section of my website or have had a look at my portfolio, you'll know I like to combine true documentary photography with stunning set-up photos, often involving tricky off-camera lighting. This isn't always easy to set up, and some of my best images have relied upon multiple factors falling into place. Alone, this can take some time - time where I can be photographing people dancing or otherwise enjoying themselves. With a second wedding photographer, a few choices open up. We could both set up the photo, or I could leave my associate photographer at the party and set the photo up myself. 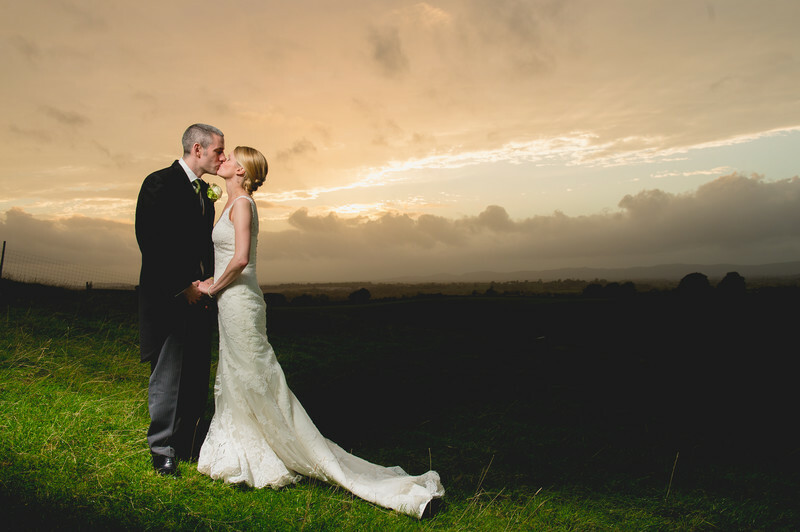 For the image below, taken at Deer Park Hall at sunset, I had my associate set up the off-camera flash with a softbox. Putting a soft box on a flashgun isn't a hard job, it's a little tricky and takes a couple of minutes at most. At any other time of the day, this isn't an issue, but at sunset however, the difference a single minute of lost time makes can be massive. As my associate was setting up the flash, I was working out the camera settings and placing the bride and groom where I wanted them. In the image below, taken at the Nash at Kempsey, it was already dark when we came to take this photo, so light wasn't the issue - the issue here was that it was absolutely freezing outside! Because it was cold-to-your-core kinds of temperatures outside, I didn't want the bride and groom away from the log burner for too long. My associate photographer and I worked out the camera settings and flash levels between us, and I used my associate (Aaron for this wedding) to take a few test photos. As soon as we were ready, I left the equipment where it was, and ran in to collect Lydia and Ashley. I stood them in the place Aaron and I had worked out, took three photos, then ran them back inside to the warm! The formal groups photos, on the face of it, is 8 - 12 photos of the bride and groom with their family and friends present. You'd be amazed that the taking of those 8 - 12 photos could well take an hour. It's not just a case of pressing the shutter button; Instead, I have to look at my list, work out who's in the next image, locate that person (they could be anywhere within the wedding venue) place them where I want them in the photo and then shoot it. Of course it's even worse if you find the first thirteen people and discover that the 14th person is in the loo or checking into their hotel room! This leaves a lot of time where my attention is divided, and it's here where a second wedding photographer really comes into their own. 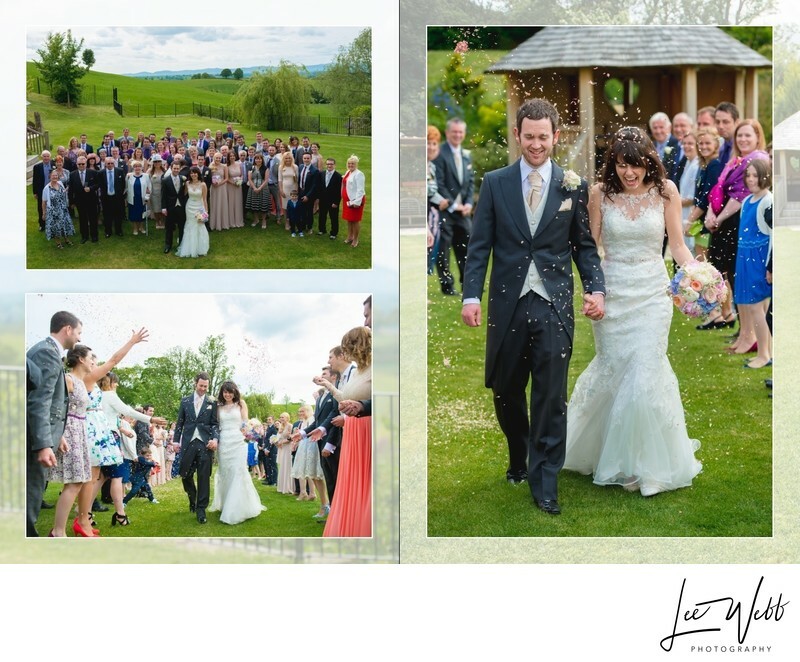 Have a look at the following example from Laura and David's wedding at the Wood Norton Hotel near Evesham. I was busy photographing David (who in no way was jealous of being shorter than all of his groomsmen) whilst my associate was taking the absolutely stunning picture of Laura's flower girl below. 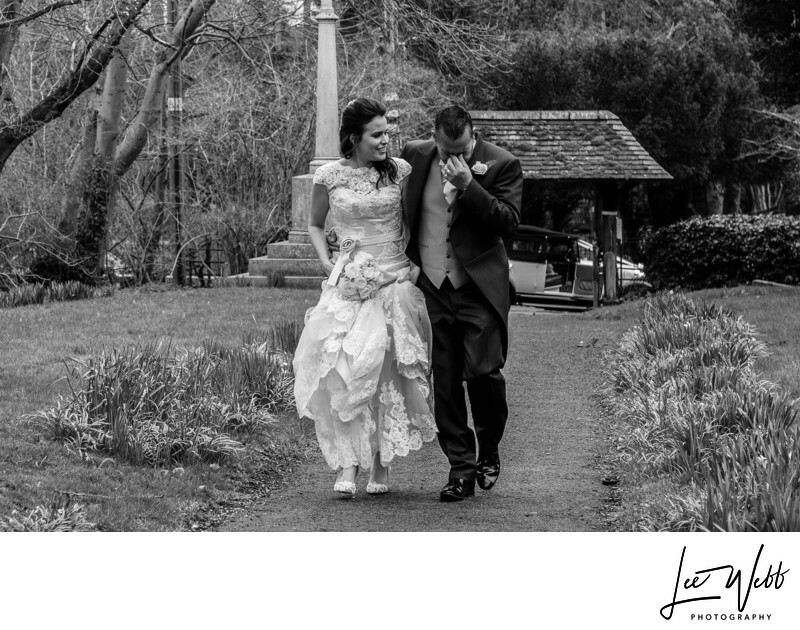 David and Laura said: "hiring two wedding photographers was the best decision we made for our wedding"
I get asked the 'what happens if you're ill on my wedding day?' question a lot. Aside from the one time I got food poisoning (and still shot the wedding anyway) it's never happened. Nor have I ever had an equipment failure that's lost any photos. But if I am under the weather or manage to injure myself at a wedding, having an associate photographer there takes some of the pressure off. Looking at things from a different aspect however, there are a few fleeting moments during a wedding that you can't recreate. 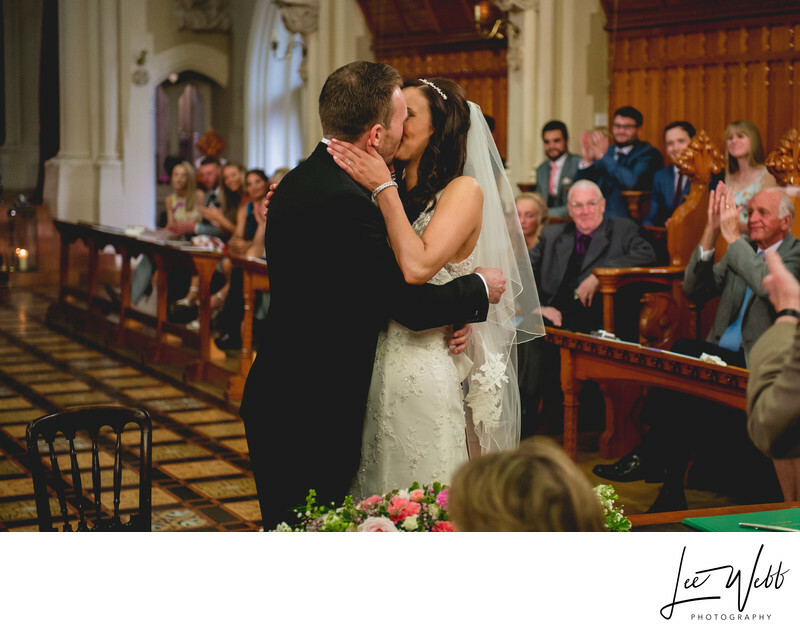 The first kiss during the wedding ceremony is one such occasion. All it takes is for the vicar or registrar to take one step too far to the left in the second that the kiss is happening for the opportunity to be missed. 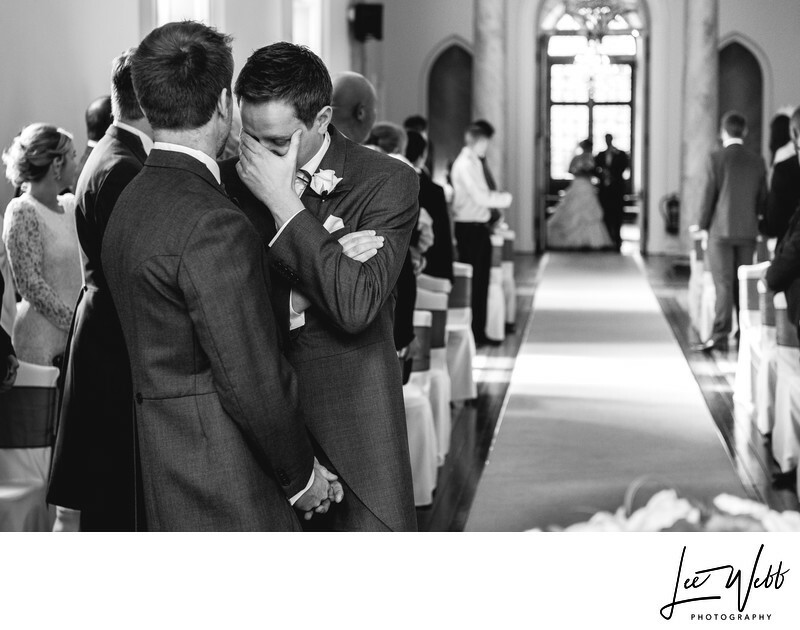 Even if you were able to get all of your guests back into the ceremony room, the feeling and emotion of that moment (and that kiss) will never be the same again. If I'm at the front of the ceremony, my associate will be at the back, covering moments such as this from a completely fresh angle. Have a look at the two images below - The top one is my image, and the second is from my associate. 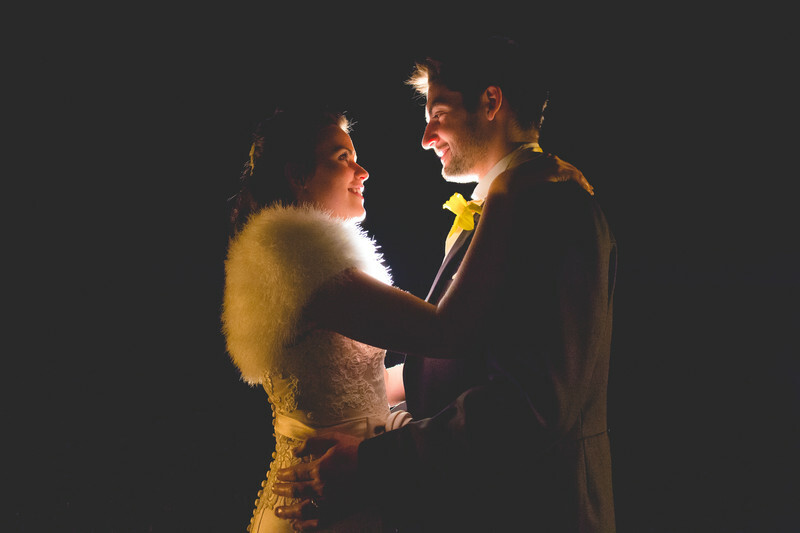 It sounds pretty obvious, but having two photographers will generally give you more images. A second photographer won't yield twice as many photos, as some of the images will be of the same subject at the same time, but you can expect around 200 more images (and some times a lot more) when having a second photographer at your wedding. 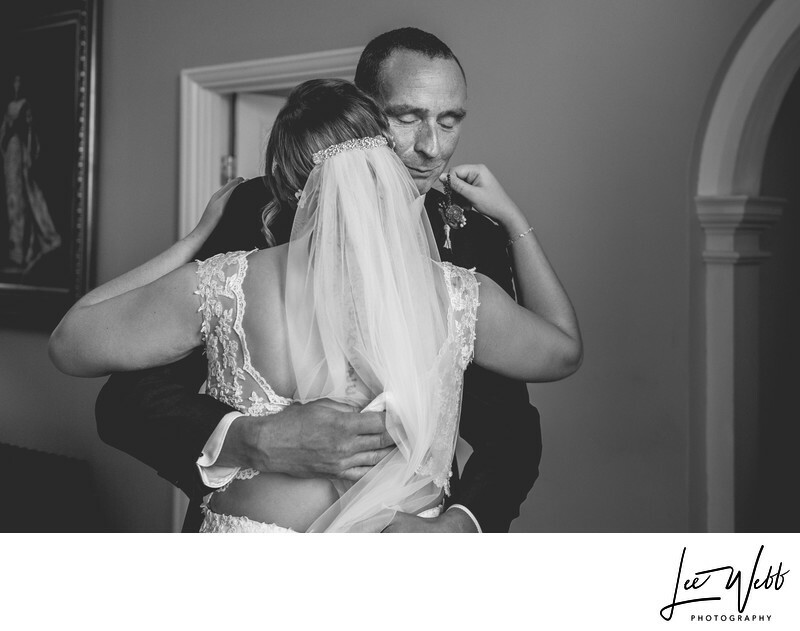 Have a look at the wedding album page below from a Deer Park Hall wedding - the image on the right is mine, and the image bottom left is that of an associate photographer. I've worked with my associate photographers, Aaron and Richard, for years. We take our inspiration from each other, and our style's wear off on each other too. A lot of our photos even look the same, in the technique and the editing (as you'll read below) at least. But, having a second photographer means having a fresh pair of eyes, and a new perspective. If you have a big wedding of more than 125 guests, getting a photo of every guest in a candid manor is very tricky. There's no guarantee that with a second photographer that you're going to achieve this, but playing the odds, you have a much better chance. 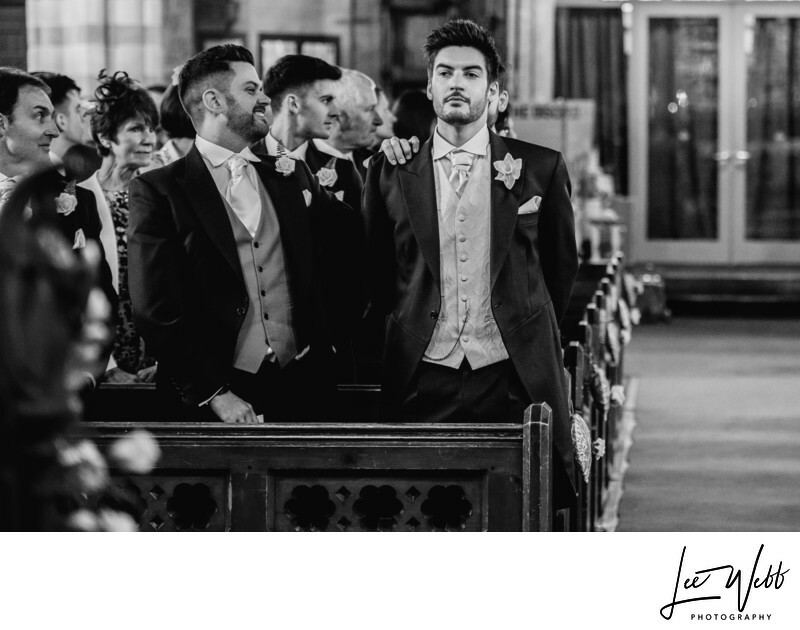 A good second photographer will try and keep his or her distance from the main photographer, for risk of having repeat images - spreading out and working through the wedding party separately gives you a better chance of getting one shot of each person at the wedding. As I mentioned earlier, finding people for the formal group photos can be a stressful and time-consuming process. 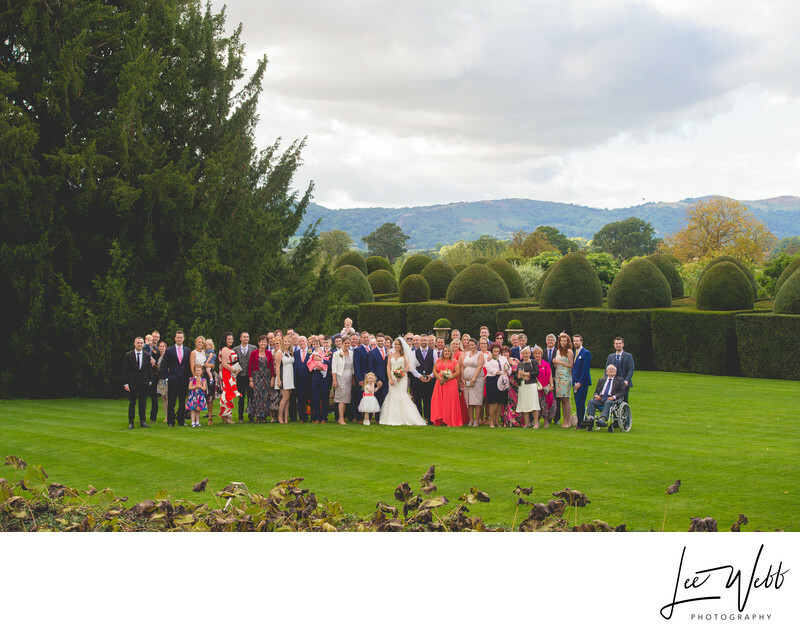 Whilst it's not always necessary, having one of my associates around to help round up wedding guests is sometimes a welcome relief, especially when it gets to the big group photo containing all of your wedding guests. Both of my associate photographers are full time professional wedding photographers, who each charge £1,100, give or take, for a full day's photography. When they work with me, they don't - They charge £400 which represents a huge saving. A lot of people overlook how much work it is editing wedding photos, and the difference of not having to edit the images is obvious! By the way, when I say I only work with professionals, I mean it. Both of my associate photographers have photographed hundreds of weddings over the years, and both have businesses of their own. A lot of photographers will advertise a second photographer, only for it to be a college student who's looking for experience and will work for free. This is not the case here, and I will happily show you the websites and portfolios of my associates. When it comes down to it, I am very happy to cover a wedding on my own - and have shots hundreds this way. Recommending that you have a second wedding photographer doesn't mean I'm not up to the task of doing it on my own, but there are benefits as you can see above. 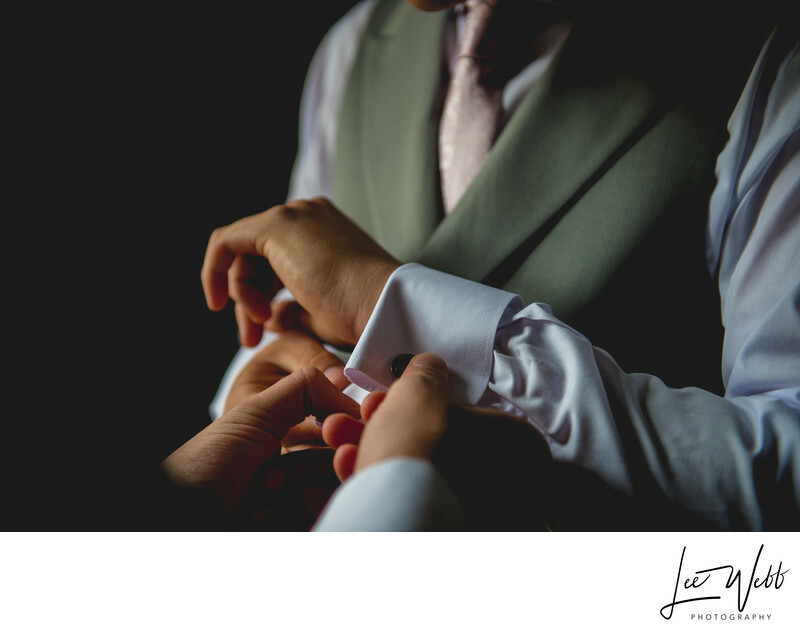 If you'd like to have a chat about your wedding including, with the inclusion of a second photographer or not, drop me an email through my contact page by clicking here.